If you need sump pump installation in Macedon NY, count on the professionals at GT Campbell Plumbing. When you choose us for the job, we’ll begin by helping you pick out the unit that is best suited to your home and your needs. Whether you choose one that is hardwired into your electrical system or you’d rather stick with a model that simply plugs in, your trusted plumber in Macedon NY can install any type of sump pump. No matter which option you choose, most sump pumps include a battery backup to ensure that the unit will work even in a power outage. 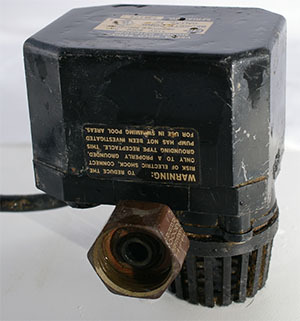 Sump pumps are submersible pumps that remove water from your basement. Water flows into your basement or crawlspace and into a sump pit. The pump has a float switch that turns the unit on when there is water in the pit. The sump pump then automatically removes the water from your basement or crawl space. Sump pumps only kick on when water in the pit reaches a certain level. While most new homes already have a sump pump, we also recommend adding them to older homes to avoid devastating water damage. A sump pump is the best way to avoid basement and crawlspace flooding issues. Your pump will be installed in the lowest spot in your basement or crawlspace, and it will remove water from your home automatically so you never need to worry. For sump pump installation in Macedon, you can count on the experts at GT Campbell Plumbing. From helping you choose the right unit for your home to maintaining the system to ensure that it won’t fail when you need it most, we are proud to offer a full range of comprehensive sump pump services. For sump pump installation in Macedon NY, call today!